Avalos is graduating from the Speech and Hearing Sciences program and was this school year’s director of the Student Entertainment Board (SEB). The SEB hosted a number of events this year for students, including movie nights, bingo night and trivia night with Bent Trivia, to name a few. These events were the result of research Avalos conducted, where she gauged student interest regarding what kinds of involvement and activities students were interested in. Avalos is also a leader in the Multicultural Club and worked with the Student Affairs office to create a new Student Diversity Center. Avalos volunteers her time mentoring high school students with College Access Corp. She also volunteers with Arc of Spokane and Free Rein, a therapeutic horseback riding program for people with disabilities. 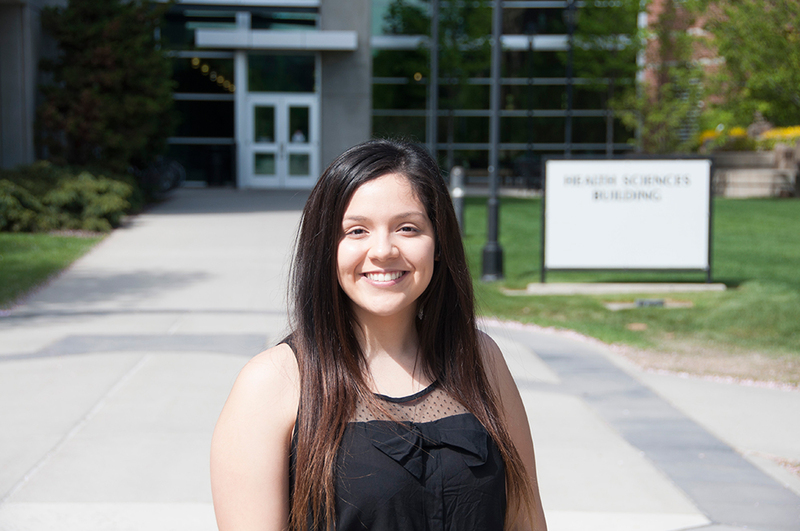 After graduation, Avalos plans to work as a Speech Language Pathologist Assistant with the Spanish population in Hermiston, Oregon. She would eventually like to get her master’s in communication disorders.